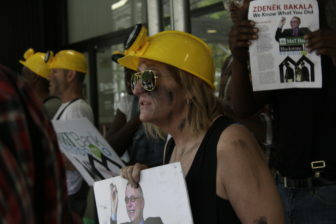 Crowds on Demand, the company at the center of the Entergy paid actor scandal in New Orleans, is facing a federal lawsuit for its alleged participation in a conspiracy to extort millions of dollars from the Czech billionaire Zdenek Bakala. The suit claims that Crowds on Demand was hired by Pavol Krupa, a Slovakian businessman, to publicly slander Bakala by paying people to protest in Nebraska, New York, and South Carolina. Crowds on Demand employees also sent emails to some of Bakala’s business and nonprofit partners pressuring them to cut ties, according to the complaint. Crowds on Demand allegedly set up a website for the campaign called StopBakala.org, which features a layout nearly identical to the Crowds on Demand website. There are also accompanying Twitter, Facebook and Youtube pages. 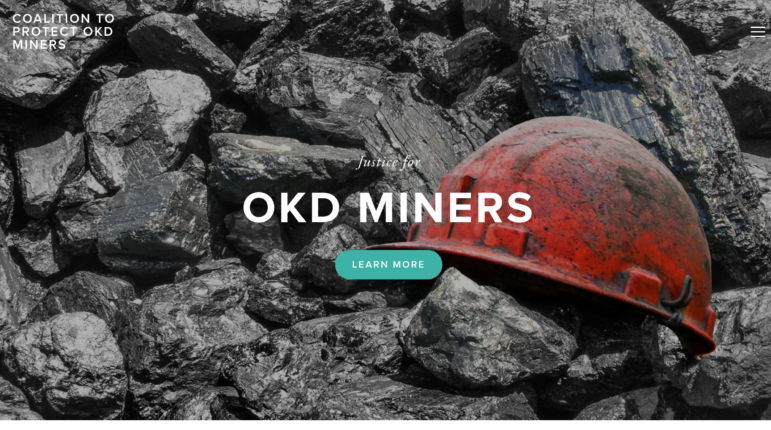 The website and social media accounts fall under the banner of an organization called The Coalition to Protect OKD Miners. The claims laid out on the website center around Bakala’s acquisition of a state-owned Czech mining company in 2004, after which, the website claims, Bakala reneged on a contract with miners and forced thousands out of their homes. 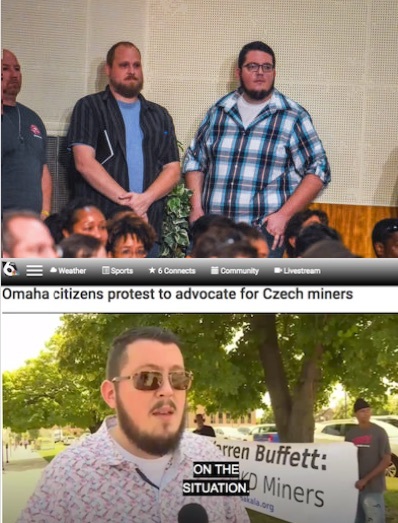 “Of all of Bakala’s deeds, none is so loathsome and detestable as cheating blue collar Czech miners out of their homes,” the website says on a page entitled “Miners Matter.” In the complaint, Bakala’s lawyers deny that claim. “The complaint speaks for itself,” one of Bakala’s lawyers, Marshall Winn, said in a phone interview. To stop what the suit describes as “a campaign of harassment, defamation, and interference in the business affairs of Zdenek Bakala,” Krupa demanded a payment of 500 million Czech Crowns, roughly the equivalent of $23 million, according to the complaint. The complaint was filed last Friday in federal court in South Carolina. It names Krupa, Crowds on Demand and Swart as defendants. Swart and Crowds on Demand entered the New Orleans lexicon after a report from The Lens last May revealed that the company paid dozens of people, including some actors, to attend City Council meetings and make speeches in favor of Entergy’s proposed power plant in eastern New Orleans. The Bakala complaint makes several references to The Lens’ reporting. Entergy eventually admitted that it had hired a PR firm, the Hawthorn Group, to bring specific numbers of supporters to City Council meetings, but denied knowing that Hawthorn would hire a second subcontractor, Crowds on Demand, to corral them. But documents that Entergy handed over to the City Council showed that top Entergy officials knew more about the scheme than they initially let on. Top: Daniel Taylor, right, appears at an October 2017 New Orleans City Council meeting. Bottom: Daniel Taylor, identified as a protest organizer in an August newscast in Ohmaha. The City Council has hired independent investigators, including former federal prosecutor Matt Coman and retired Judge Calvin Johnson, to look into Entergy’s role in the scheme. The results of that investigation are due in October. This time, instead of a local utility debate, Crowds on Demand seems to be caught in an international controversy, stuck between two feuding European billionaires. “Bakala has gone from hero to goat, and he’s the object of increasingly bitter political attacks,” writes Benjamin Cunningham in a 2016 Politico article. He goes on to explain how Bakala, with his predilection for cigars and Swiss villas, has become a political target in the Czech Republic, seen by some as a symbol of the pro-Western liberal elite. “These attacks have escalated and intensified over time, and appear to be backed by populist politicians opposed to Mr. Bakala’s anti-corruption and pro-Western activities,” the lawsuit says. The controversy surrounding Bakala stems from his acquisition of Karbon Investments in 2004. Karbon had purchased the government’s shares in OKD mining — a formerly state-owned enterprise — for 4.1 billion crowns, a price that some said was suspiciously low. Just nine days later, according to the Politico article, Bakala and his business partner bought Karbon. But more importantly for Krupa’s current campaign, the acquisition included 43,000 units of housing used for miners employed by the company. According to emails from Swart and the website he allegedly set up, Bakala had a contract with the miners to sell them their homes for below market-rate prices. That didn’t happen, and according to the Coalition, thousands of miners were put out of their homes. “Believe me, being homeless in a Czech winter is something you wouldn’t wish on your worst enemy,” reads a July email that, according to the lawsuit, Swart sent to Matthew Slaughter, the dean of Dartmouth College’s business school. Bakala is an alumnus of the business school and sits on its board of advisors. Bakala and his lawyers deny the existence of the contract. When Bakala, along with a group of international investors, took control of OKD in 2004, the business was restructured and different assets (mines, housing, transportation assets) were split into different companies, according to the complaint. In 2015, the housing units were sold off to Round Hill Capital, a US real estate investment firm, according to the complaint. But Cunningham, the author of the Politico article, said that for an issue as politically incendiary as suffering coal miners, the precise details aren’t that important. With growing political resentment against Bakala, the lawsuit claims that Krupa saw an opportunity to extort the businessman. “Krupa has a history of engaging in attempted ‘shakedowns’ of companies and individuals,” the lawsuit says. The lawsuit notes that the Czech National Bank recently barred Krupa from managing an investment firm he started because he was found to be untrustworthy. Krupa’s company, Krupa Global Investments, did not provide a comment to The Lens by publication time. Krupa’s campaign against Bakala started in the Czech Republic, according to the complaint, but spread to other European countries including England and Switzerland. The complaint alleges that In 2017, he repeatedly approached an attorney associated with Bakala to inform them that he would expand the campaign to the US unless Bakala paid him 500 million Czech crowns. Bakala denied his demands, according to the complaint. California-based Crowds on Demand is, at least in part, in the business of astroturfing—commonly defined as the practice of creating the illusion of grassroots support while obscuring the individual or group in control. Since the Entergy scandal broke, Crowds on Demand has added to its website, listing case studies of its work. The same tactic of targeting clients and business associates was used on Bakala, according to the complaint. Bakala’s lawyers say that Crowds on Demand sent defamatory emails to many of Bakala’s US business partners and nonprofits that Bakala is affiliated with, including the Aspen Institute, the Blackstone Group, Round Hill Capital, Dartmouth College, and The Design Museum. Other protests were set up outside the headquarters of Berkshire Hathaway in Omaha and M&T Bank, in Buffalo, New York. Both have financial stakes in the 43,000 housing units at the center of the controversy, according to the complaint. The complaint says that many of the claims broadcast by the Coalition are false, including the assertion that the European Commission is currently investigating the privatization of the Mining Company OKD. “Defendants made and publicized these statements in reckless disregard for the truth,” the complaint says. *Correction: This story initially identified the Czech president as the leader of the ANO party. The ANO is led by Czech Prime Minister Andrej Babiš.